Estella's Revenge: It's Monday, What are You Reading? The week before last, I finished six books for the BookTube-a-Thon, and this past week I only finished one book. But, wow, what an accomplishment. 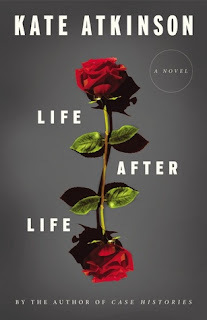 I did not adore Life After Life, by Kate Atkinson, as much as so many bloggers did. It was a slog in parts, and I had issues with it, though I thought the writing was stunning. A full (conflicted) review coming soon! After I finished Life After Life, I've had a hard time settling on a book. After a few heavies in a row (Owen Meany, et al), I needed some brain candy. I started and finished Anna and the French Kiss, by Stephanie Perkins, for the #minithon yesterday. It did its job and got me reading, though now I'm still having a hard time settling on my next book. 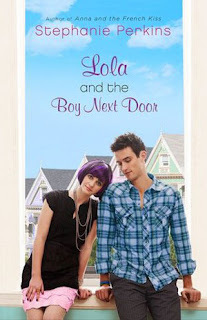 I've almost decided to keep the brain candy rolling and jump right into Lola and the Boy Next Door. It's waiting on my Nook, so we'll see how that shakes out. Another option is The Girl You Left Behind, by Jojo Moyes. I loved Me Before You, and I need to finish this one up for review soon. What are you reading? What do you pick up when you're trying to avoid a slump? 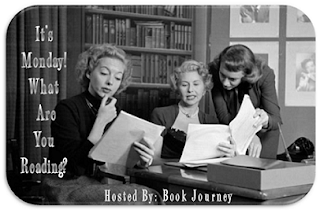 Visit BookJourney -- awesome host. I've only tried one book by Atkinson and think I'll wind up passing on this one. I don't have the patience for any slogging. 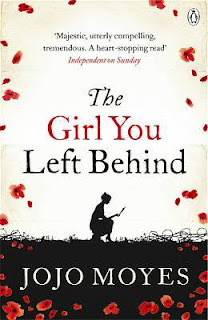 I love the cover art for The Girl You Left Behind! I've just recently started You Before Me and can't wait to get back to it when I get off work today. It's as good as I've heard. Unfortunately, the same can not be said for Violets in March (Sarah Jio). I enjoyed it, somewhat, but certainly didn't love it as much other bloggers. Les, sooo many people have loved it, and the writing is gorgeous, but I just was left wondering what the point was. Although, I have thought a lot about it. Any writer who can make me ponder this much has something going on. I hope you love it as much as I did! I do love this cover art, too. 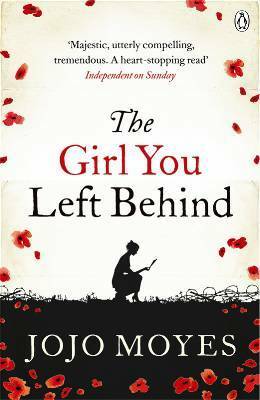 The cover of The Girl You Left Behind is beautiful! Is that the UK version? ;-) The Stephanie Perkins books are definitely brain candy and in a good way. Have a good week. I looooove that cover of The Girl You Left Behind! The writing was definitely beautiful. No complaints there. I was just sort of left wondering what the point was??? Ambiguity is usually a good thing, but in this case it annoyed me. Glad you enjoyed, Anna. And I do truly mean that despite hating that book myself. I think that brain candy just found me at the wrong time and in the wrong mood. Haha. Yay for new Moyes! It's on the wishlist. This week I'm giving Death Comes to Pemberley a try with very low expectations as well as a graphic novel, Sailor Twain, that I'm loving. LOL, it definitely had some cringeworthy moments (Anna), but it was fun. Just the right timing, and I can see how it could induce hate if it was the wrong timing. I love the looks of the Sailor Twain book. And I've been tempted to try Death Comes to Pemberley, even though it looks like something squarely outside my comfort zone. I just added The Girl You Left Behind to my library hold list. I'm intrigued! I liked Life After Life a lot but didn't love it as much as most people either. I still think about it though. Yeah, there was just too much to chew on. Too many questions leftover. And I feel so LAME saying that. I usually like ambiguity, but I was just annoyed with LAL. Sometimes read-a-thon-ing requires some recovery time afterwards; I haven't quite been in a slump lately, but I certainly haven't kept up my usual pace either. And I can't even blame the weather right now, as it's been simply perfect! Looking forward to your thoughts on LaL. Amen to that. lol I hope your sort-of slump resolves itself soon. Our weather has been pretty fantastic, too. LAL should be up on Thursday. I think. Nothing wrong with brain candy, I vote go straight on to Lola. I find that when I read an intense literary style book like I imagine Life After Life is, I definitely need something lighter afterwards. Amen sister. I read Northanger Abbey at lunch because my eyes needed to stare at a page instead of a screen. And yes, I like to keep a mixture of reading going. The change from heavier prose to lighter stuff keeps my reading mojo going. I really liked Anna and the French Kiss too. I tend to go for books that are brain candy instead of those deep thinkers. Come see my Monday wrap-up. Have a great reading week. It was SO cute. I've read a pretty even mix of lighter stuff and darker stuff this year. Keeps me from slumping, I find. I keep hearing different comments about Life After Life. Will look for your review and thoughts. I really liked Life After Life but I am very good at blocking out things which niggle other readers! My librarian friend Liz had a similar problem with Time Traveller's Wife and just won't risk LAL as it will annoy her brain trying to work out the why and wherefore. For me, ignorance is bliss! Loved both of those Jojo Moyes, she really is on a roll now. LOL, I don't think this one has niggled at too many people. I may be the oddball there. Looking forward to the Jojo Moyes! Ah, brain candy. I'm reading the new Sarah Dunant novel right now, and as beautiful as her writing is, she picks such heavy topics. The Borgias are just not light reading no matter how interesting they are. I need something light and fun after this! I've never read Dunant, though I have something of hers on my stacks right now. And you're right about those Borgias. I can't wait to read Life After Life. I have it set aside to read during my Sept. vacation, so I'm very anxious for your review. I really enjoyed Life After Life and think I understand the reason for the ambiguity, but I'm a big Atkinson fangirl, too. I read it a while back and still find new things to appreciate the more I think about it. I'm reading a different Jojo Moyes at the moment--The Last Letter From Your Lover. I'm having a hard time figuring out the main character but liking it so far. Hope you find the perfect next book for you soon! We need to talk then. I have one other Atkinson on my Nook...Case Histories. I hope The Last Letter From Your Lover turns out to be a winner for you! Same here re: book to book. I think Lola might stick for me. I try to pick up a quick read that I don't know much about or don't have huge expectations for. I've found that I can get bogged down if a book has great reviews or tons of buzz, I start over thinking it...and that's definitely not the way for me to avoid slumping. Right? Same here. I've been really good about picking up shorter reads to keep me going lately, but right now I just can't seem to settle on one. Gah! Sometimes brain candy is just the right thing for me. I often end up with YA or a historical romance novel when that mood strikes. Me too. I'm definitely in more of a YA mood at the moment. If I can't seem to settle on a book I usually have to go to a mystery series I like. That way I know the characters and feel like I'm just meeting old friends again. Looking forward to your review of Life After Life! Yep, I'm really having to fall back on those YA and romancey titles right now. I think Lola is gonna be my winner. Hope you enjoy Life after Life!